homeowners who want to renovate their property, by the state. Low-interest loans and grants for the energy-efficient renovation and Heating with renewable energies, but also for barrier-free remodeling, and more protection against burglars. Who wants to convert his property to a KfW-efficiency house or single-energy action plans, has the choice between a series of support measures. Thus, the KfW provides cheap loans from 0.75 percent per annum and with up to 27.500 euros subsidy for loan repayment. For apartments, that can be converted to a KfW efficiency house, the loan amount up to 100,000 Euro for individual measures up to EUR 50,000. 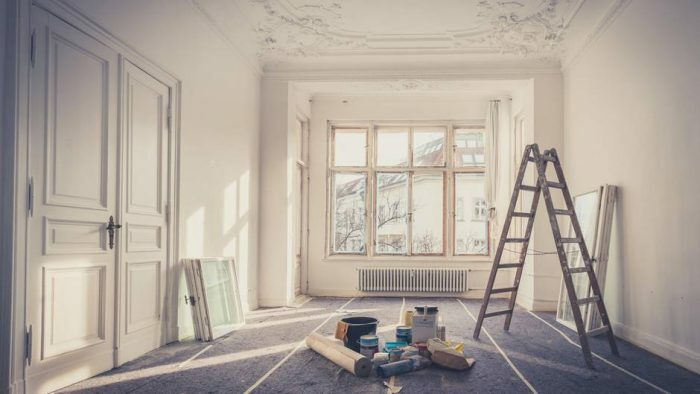 For private owners, there is alternatively the possibility to get an investment grant of up to € 30,000 for energy retrofitting of the apartment. the loan sum need to be aware of: the amount of The loan amount depends on the purchase price of the property or the cost of construction, your available equity and a possible risk-discount of the Bank. In particular, builders should calculate just. Already, two coated cost can blow up strokes of the construction of a tight Budget. Then an expensive follow-up financing is necessary. An additional credit for the conversion of the heating system to renewable energies: up to 50,000 euros per apartment to the effective annual interest rate of 1.16 per cent. anyone Who installs a fuel cell system, receives from KfW of up to 28.200 Euro subsidy per fuel cell. Who instructs in the course of renovation measures, energy efficiency experts, can pick up from the KfW for a grant of up to 4000 Euro. The Bafa is also up to 1100 Euro for the energy consultants. Who can built facilities for the use of renewable energy, expands or acquires a KfW loan from the 1.0 percent annual effective interest rate. Be encouraged, photovoltaic systems, hydropower, wind power, combined heat and power (CHP) plants based on biomass, Biogas or geothermal energy, as well as plants for the production, purification and feed-in of Biogas, biogas pipes and storage battery. Also, the Bafa promotes Heating with renewable energy: biomass systems (Pellet and Hackschnitzelöfen, combination boilers and wood log gasification boilers), solar thermal systems and efficient heat pumps with up to 4000 Euro subsidised. as well as energy management Software. For Mini-CHP plants with a capacity of up to 20 kilowatts, it is from the Bafa for an investment grant of up to 3925 euros for particularly efficient systems. in addition, the acfa supports a number of niche products such as micro-hydro power plants, plants for the local production of oxygen or decentralized units for heat recovery from waste water in buildings. Who protects his apartment barrier free remodels, and better against burglars, you can get a KfW promotional loan of 50,000 Euro from 0.75 percent per annum. private individuals can alternatively receive a grant of up to 6250 Euro for measures to barrier reduction. Up to 1600 euros as subsidy for protection against burglary, for example, for the installation of secure entrance doors, locks, alarm systems and camera systems. in addition to the Federal programs, there are numerous regional funds. In North Rhine-Westphalia, for example, the NRW promotes Bank General building renovations with loans of up to 100,000 euros per apartment, and a possible down payment discount of 20 percent. For the disabled retrofit of an apartment, the NRW-Bank, granted a special loan of up to € 40,000. Also in the other Federal States there are regional programmes for the promotion of energy and non-energy renovations. The winner comes from the rural Idyll of Sweden’s West coast: “The cubic Holzbau surprised interiors with split levels and air. Generous family living here in a small space possible,” is the verdict of the Jury.